Lots of couples come to us wanting something personal, something different and this couple were certainly determined to have both these things. The result was a wedding that was not just amazing but was the best fun for everyone!! 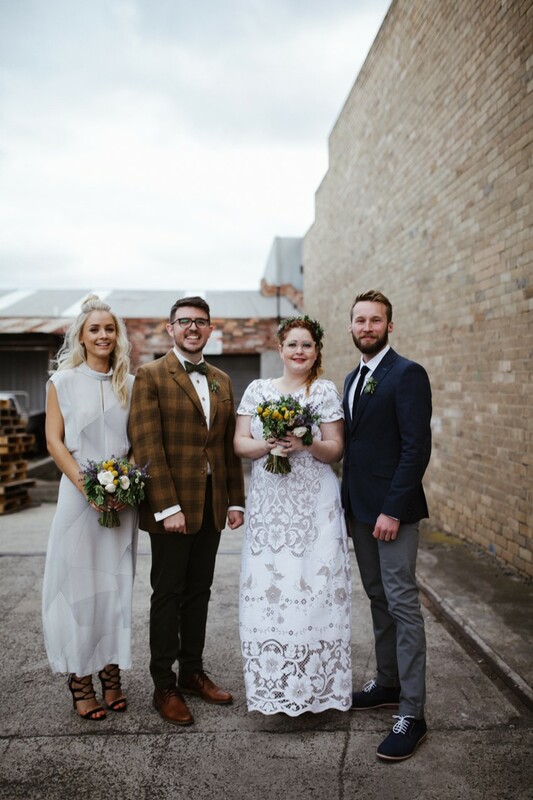 The wedding was festival themed with lots of quirky touches that brought out the couples personality and their love of festivals, friends, family and each other. The guests got to experience a wedding that was different, unexpected, relaxed and entertaining. We really enjoyed working on this wedding with E+D. They knew what they wanted and they just went for it!! For us it was about pushing past what is usually done to creating a style of wedding that hasn't been done and ensuring the couple got everything they wanted and dreamed of. 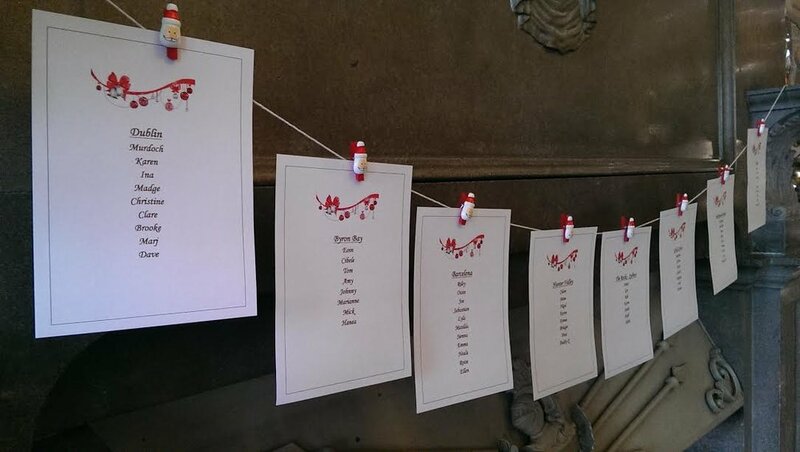 Here are a small selection of the photos from E+D's wedding. Hop on over to our Gallery page to see the full selection of photos from the wedding. Guess What We Are Up To!! We are currently working on a light installation and were working away till late last night getting it completed. Here are some photos of us in action!! Keep an eye to see what we did and how it all turned out - you won't be disappointed!! Many couples are now opting to get married in alternative ceremony locations. This brings an exciting and interesting element to your wedding day as you are not limited to a church or registry office. The downside to this is that you don't always get the drama and impact that a church can have. 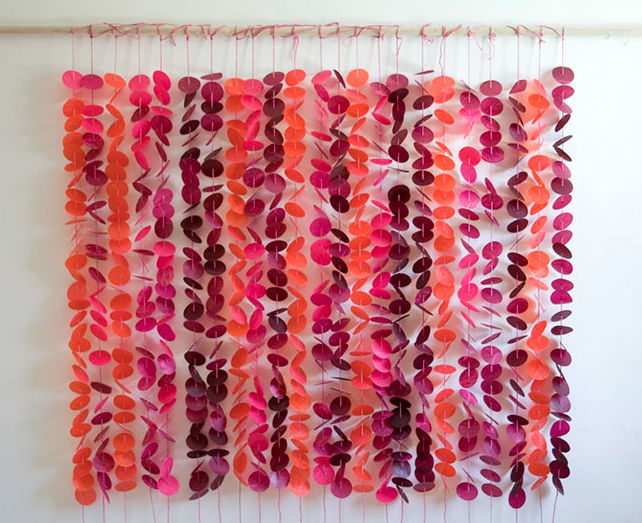 The answer to this is the wedding backdrop!! The wedding backdrop is simply a decorative structure and is usually placed at the top of the ceremony area as a back drop to the ceremony and the couple. These may come with the venue or if not they can be hired or you could make it yourself. 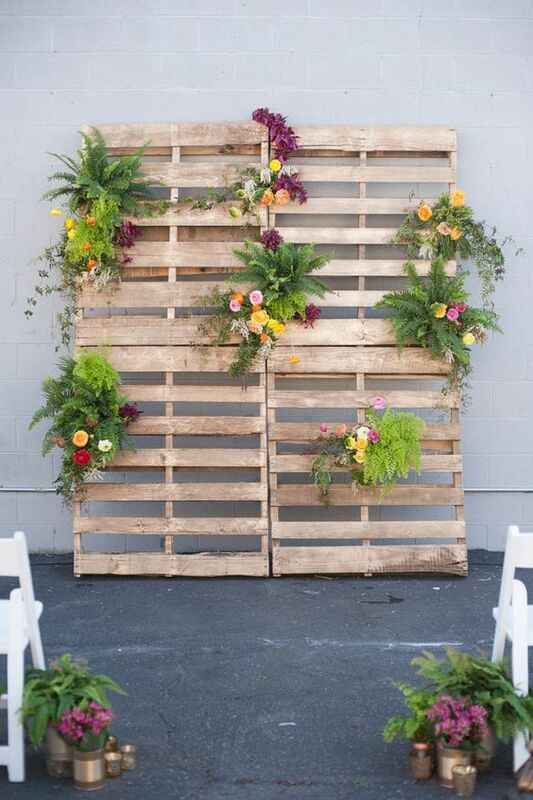 Having a wedding backdrop may not be top of your to-do list but it is something you might consider. It will be one of the most photographed locations on your wedding day as most people (including your photographer!) will want to take photos of the newly married couple at the ceremony. Having your own personal wedding backdrop also means that your guests will never look back and not know whose wedding it is! It also sets the scene for the rest of the day and connects with your overall wedding style and decor. 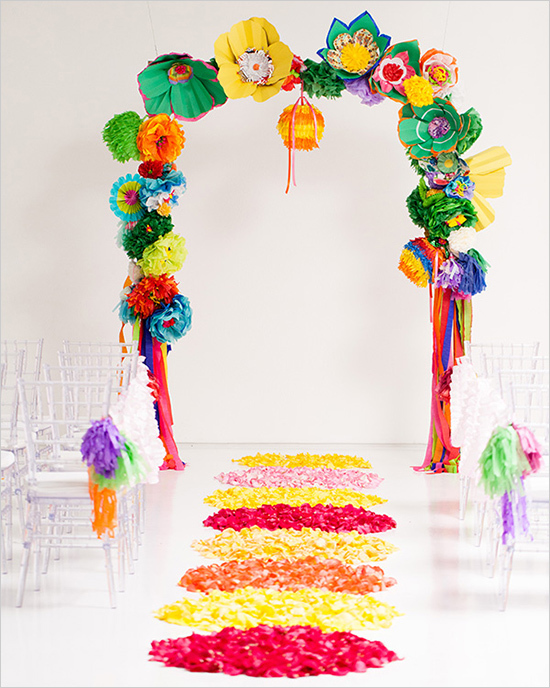 It can lift your ceremony venue to something ordinary to something individual and fun. 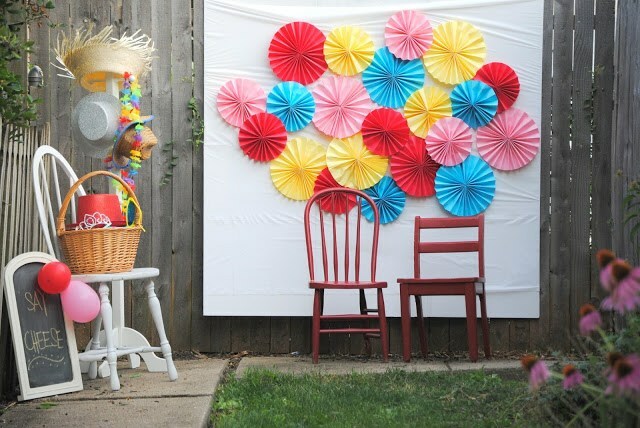 When your ceremony is over you could also use your backdrop as a backdrop for your sweet table, dessert table, or photo booth - nothing like a bit of recycling!! 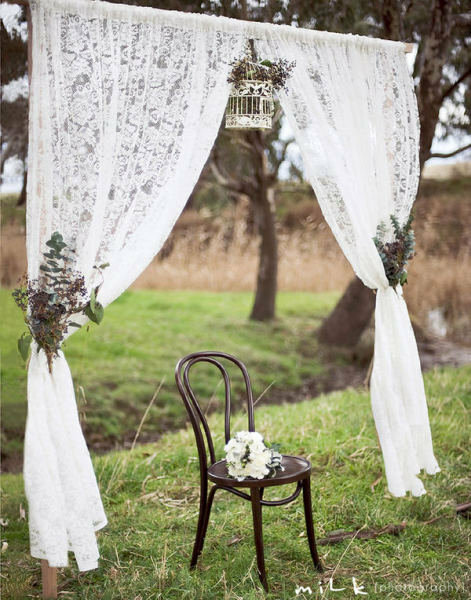 Here we have put together some of our favourite Wedding Backdrops. We hope you enjoy our selection and get some ideas for your own wedding ceremony. Please let us know you thoughts in the comment section - we would love to get the feedback!! Getting Married? Then This Is The Wedding Checklist You Need!! To those who have just got engaged then a huge congratulations to you all!! To all those who are in the early stages of planning and organising a wedding, you may be finding it is a bit of a mad time trying to get your head around the fact you have whole wedding to plan - fear not!! To get you thinking here is the ultimate starter checklist of items you need to consider when planning your wedding!! What time of the year and what day do you want to get married? Decide on a reasonable and realistic budget - yes we said reasonable and realistic! Pick your wedding party - think about this, they all need to get on and be able to put you first! Do a rough guest list so you have an idea of how many guests when you go venue shopping! Visit venues and book your venue as soon as you can places book up fast! Book your Celebrant, Officiant or Church - these are also in huge demand and book out quickly! Book your ceremony venue soon if it does not come with the venue. Music for the ceremony and wedding reception - you can have any type anywhere! Florist - the good ones are gone fast!. Photographer - again do as soon as you can the best book out quickly! Videographer - special memories recorded! Entertainment - Ah sure why not! Make-up - an absolute for all the bridal party and a lovely treat to have some one do it for you!! Cake - so many options! Rings - can't get married without them! At least 3 month notification of intention to marry to the Registrar - no getting married without it! Wedding transport - if needed, don't walk especially not in those heels! The Dress and the bridal party dresses - this is where the fun starts!! Oh and the shoes!!! The Grooms and Groomsmen attire - not so much fun! The Honeymoon - this is the all essential, make sure you treat yourselves!! 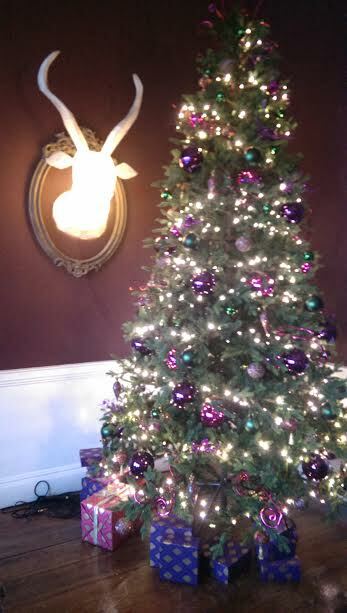 Our advice yes planning carefully and fully is so important but even important is that you have fun and enjoy this special time. Do what you want not what others expect or want - don't let them wreck your head!! 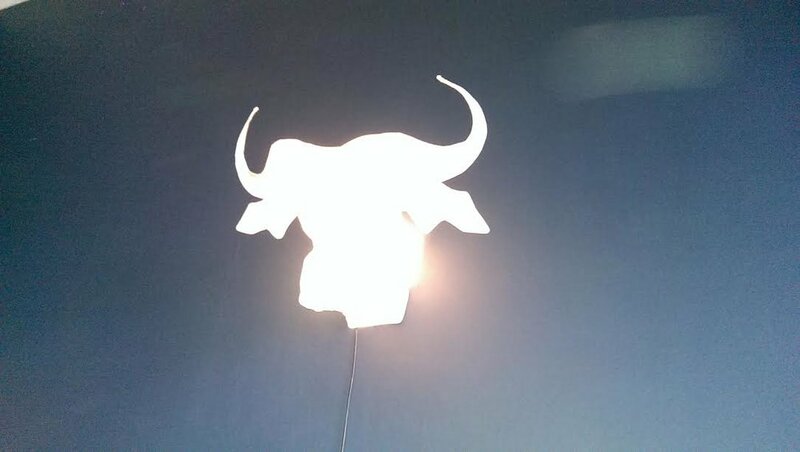 Lighting can come in many and various ways including candles, t-lights and electrical lighting. It's what you use and how you use it that will create the desired effect. Our advice is use plenty of secondary lighting like candles, festoon lighting, fairy lights and lamps and use as little as possible of the main lighting like ceiling lights and strong electrical lights. 10 Questions You Need To Ask Your Wedding Venue!! One of the first things you will do when planning your wedding is decide on a venue. Easy? No. Booking your ideal venue is one of the most important decisions you will make with regards your wedding. It can be a very difficult and overwhelming task as there are so many things to consider and think about. The first step is to decide the type of wedding you want, what location suits you best and the budget available. You can then make realistic and informed choices about what venues to visit. That way you don't waste time visiting venues that are not suitable and you can avoid disappointment around venues that you can not afford! Book as early as possible to secure your preferred date. Strike the best deal you can, don't be afraid to ask for discounts or free extras in your package! Do they have a wedding co-ordinator and will they be there on the day? Is it big enough to accommodate all your guests? What exactly is included in their wedding package? Is the venue available for your exclusive use? Do they have in-house catering? Do they cater for special dietry requirements? Can you supply your own alcohol? Is there a corkage fee? 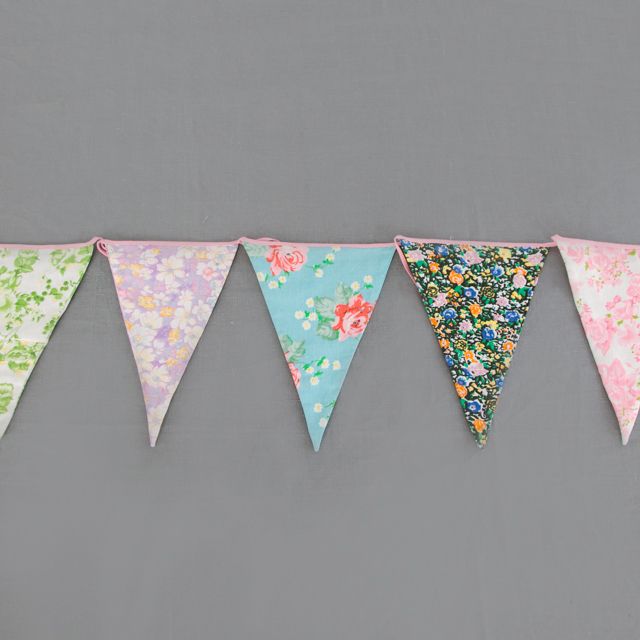 Can you add your own décor and props? Does the venue have a P.A. system? Is the venue planning any development or building work before or during your wedding date? If you need any help or advice with regards planning and/or styling your wedding please get in contact, we offer free 30 minute complimentary consultations to all our couples to ask questions, get advice and bounce ideas about their wedding with us - it could be the best 30 minutes you spend planning you wedding!! Now Here Is A Real Wedding Definitely Worth A Look!! Last October we worked with a very special couple on their stunning wedding in Powerscourt House in County Wicklow. We worked mainly on the drinks reception area which was a beautiful but bare stone walled rectangle room.The aim was to add some personal touches and some style features and to break up the room in to zones so that it did not feel like a long empty room for the guests. So after some thinking and some creative decisions with the couple, we came up with a great style concept and workable floor plan. 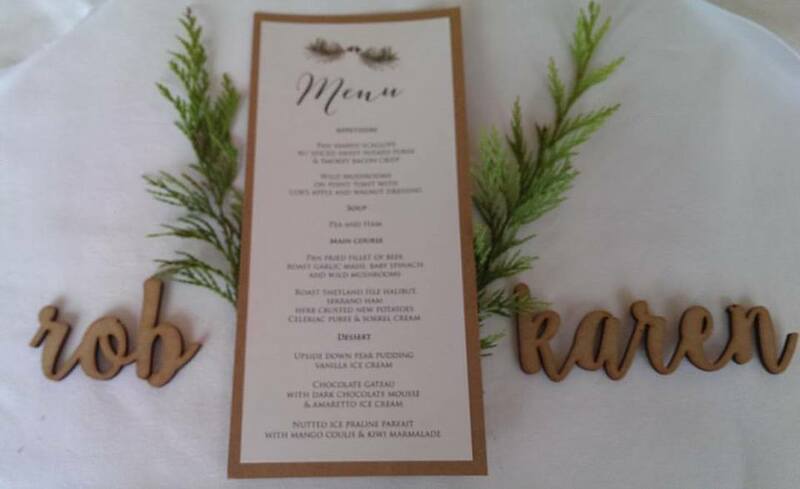 The style plan was elegant rustic with natural textures and props and the colour theme was green and white. 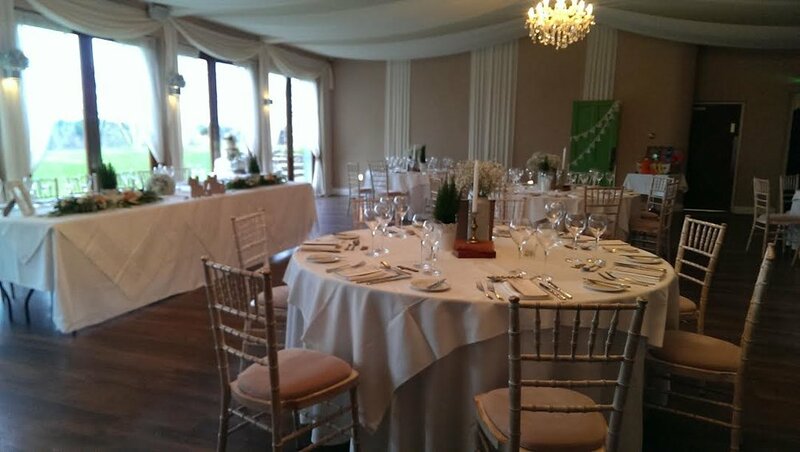 On the wedding day the room felt welcoming, comfortable and elegant. It matched in with the other main reception room while still retaining it's own relaxed personality! Here are some photos from the day, to see the full collection just click here - we hope you get some great ideas and inspiration!! Not So Sure About Greenery, The Colour Of The Year 2017...Are You? So Colour Of The Year 2017 is Greenery! and yes it is lovely and yes it is great but how well is this colour going to work for weddings? Like really work? Firstly, what is it - Pantone describe it as "nature's neutral" and a "fresh and zesty-yellow green shade". 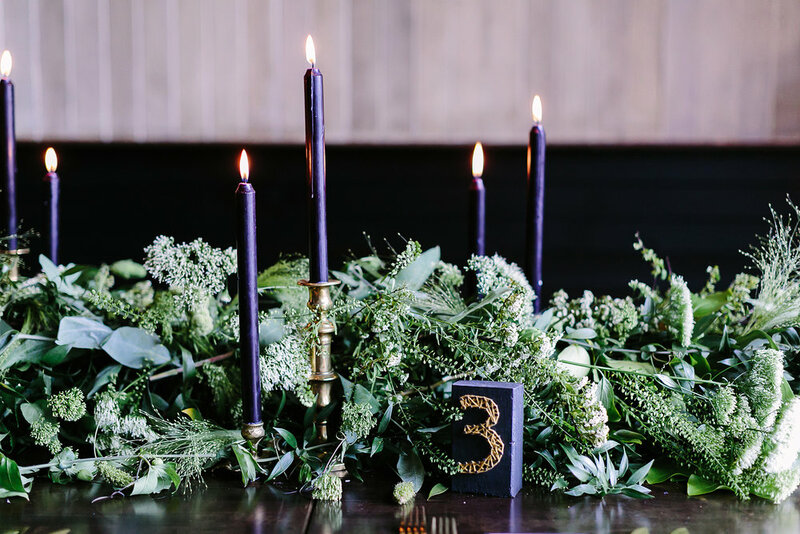 Now we are big fans of this colour but let's be honest, it kinda already is a colour that is always present at weddings and usually comes in the form of foliage, flowers and surroundings!! So fashion and interiors will benefit greatly from this fabulous colour however weddings have kinda been there, done that and will continue to use it long after 2017!! On another note that's not to say we can't push it that little bit more in how we style our weddings, it is after all a fantastic colour to mix and match with other colours. 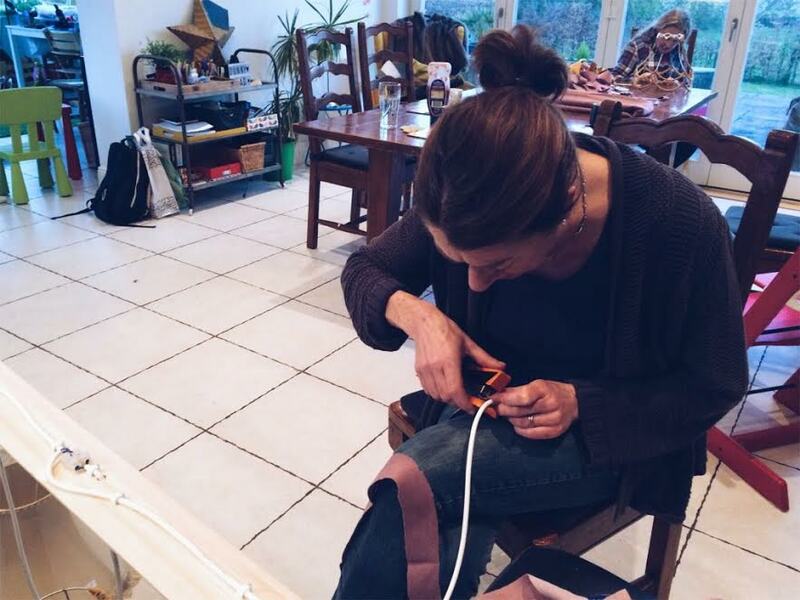 You can do anything from natural and rustic right to deep and daring but mainly you can have fun with it! So Greenery for weddings, it's not exactly new but it is a great colour that we can easily work with. So let's see how it is being used in fashion and interiors and see if we can get any new ideas and inspiration for weddings - you never know what we may find!! 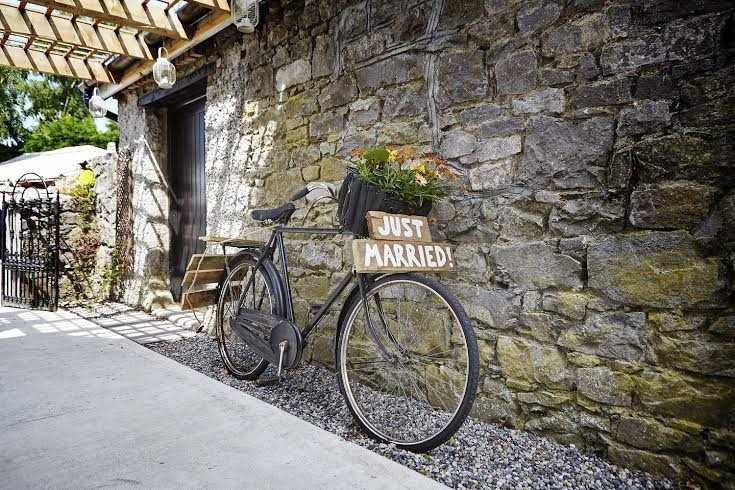 If you, like a lot of couples at the moment, are in the middle of organinsing your wedding you may have found yourself a bit stuck when it comes to how to decorate your venue and where to get the props in which to do so. Some people like to buy props but the cheapest and easiest option is always to hire. 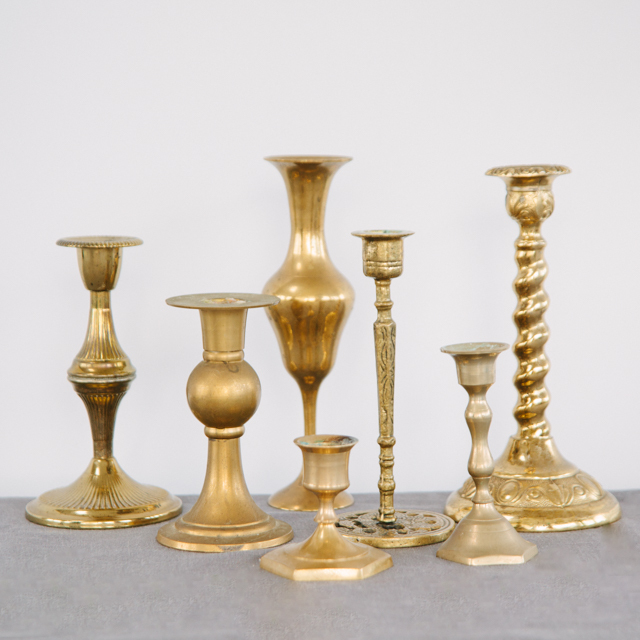 When you hire props you have a lot more options available to you and you can hire things that you could never afford or never be able to buy. 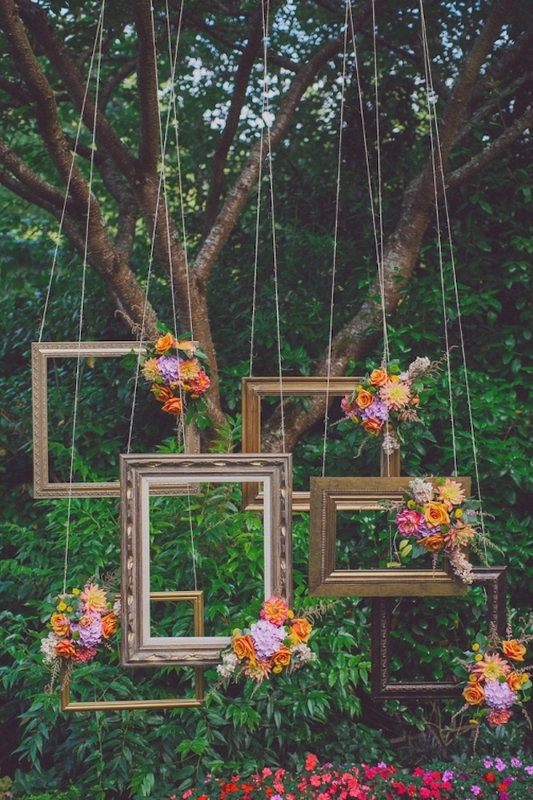 Basically, the sky is the limit when it comes to hiring props for your wedding. Our advice - have fun and just go for it!! 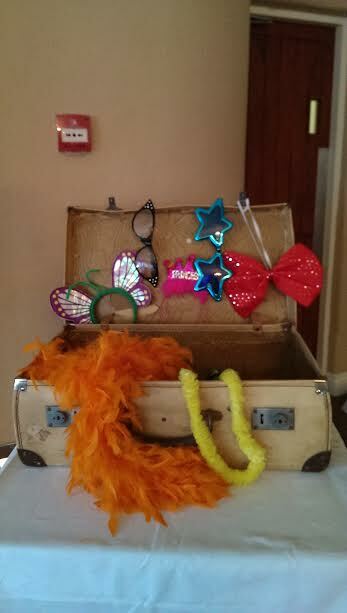 At The Wedding Festival we have a large and varied collection of props to hire that includes the necessary, the interesting and the ‘Oh I just have to have that!’ kind of props. 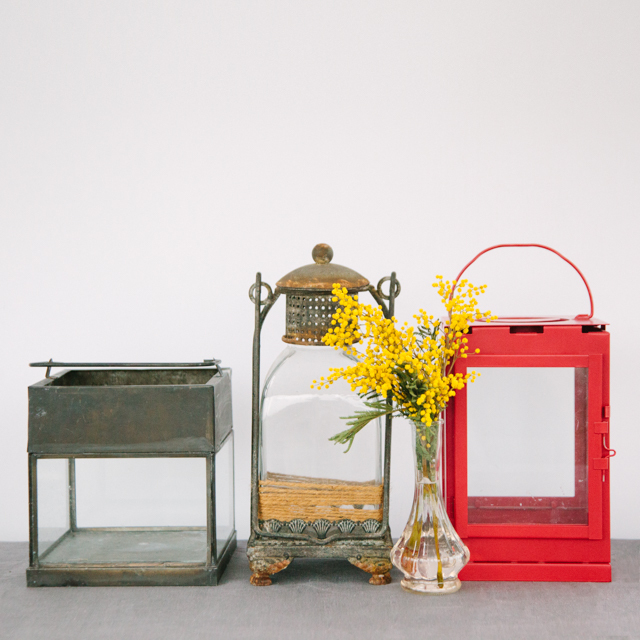 Our collection includes wedding essentials, party products, eclectic props, décor hire, handcrafted items and much more. 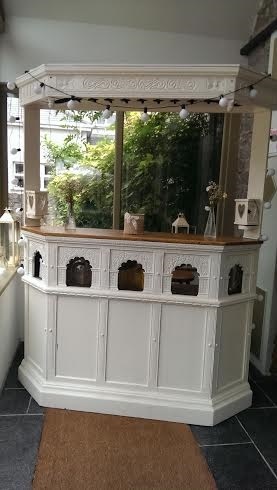 We also offer a bespoke prop hire service where we can make or source a specific prop for you for your wedding. 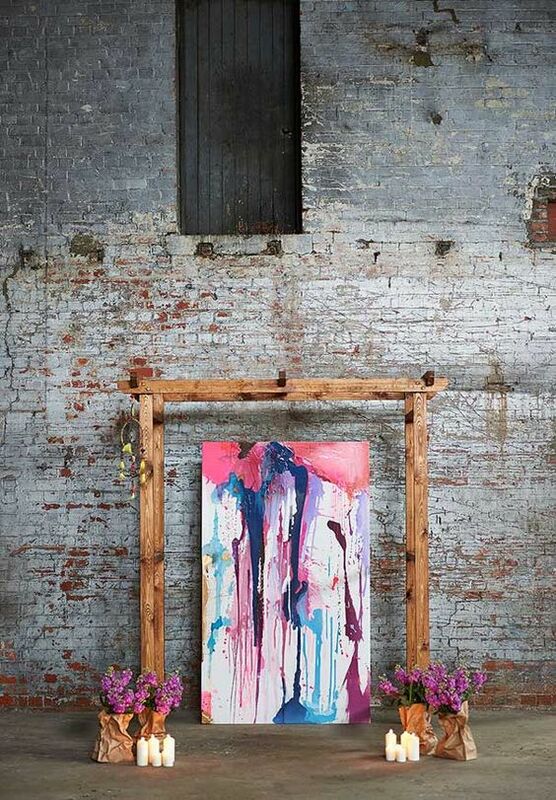 Our prop selection promises to inspire and excite and provide those finishing touches that bring an event to life. To have a look at our full collection just press this magical button!! Planning Your Wedding? Need A Little Help? If you like many couples are currently in the middle of planning your wedding you might be delighted, happy and excited but you may also be feeling a little overwhelmed and stressed. This is a perfect normal reaction than many many couples go through during planning and organising a wedding!! Be assured there is plenty of help and support out there, one service being ourselves a wedding planning, styling and prop hire service. All of our services vary from a set up service to a full wedding and styling services. We also offer tailor made packages that can be custom designed to suit your needs and budget. 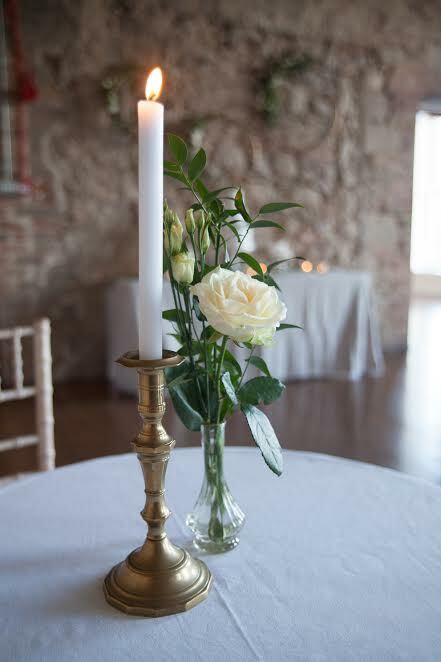 Having a Wedding Planner or Stylist work on your wedding does not have to cost a lot (in fact our services start at €200!!) but can give your hours of peace, reassurance and relief!! Having a professional help you with aspects of your wedding reduces stress significantly. It frees up hours for you, around and on your wedding day, that you can spend and enjoy with family and friends instead of trying to organise and decorate your venues. It can also provide the help and advice you need where you need it and can help you create the look and feel you want for you wedding venue. If you would like to learn more about our services why not pop over to our Wedding Services page to find out more! You can also get in contact and we can chat about what you need and how we can help. Now That's An Interesting Question? Anyone wondering what we did to this wall for a couple who got married this New Year's Eve? Check out the photos below for some (not so good quality we have to highlight - the joys of mobile phone camers!!) images of how we turned a plain white wall in to a fabulous and eye catching feature!! 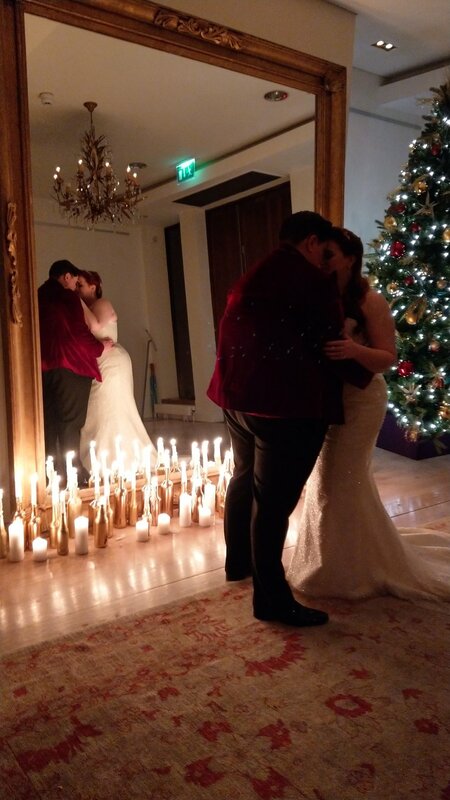 The couple got married in the Morisson Hotel this New Years Eve. They wanted to add some interest to the lower area of the reception room and after dinner to add some wow factor to the dance floor space. A light installation for the wall was decided as the best decor feature for the couple and they loved the idea! So with our festoon lights and LED lights from our prop studio we built the wall of lights, twinkles and magic......!! Congratulations to our couple, Lauren + Brendan and many, many, many happy new years to you both! Yes It's Our Time To Show Off + You're Gonna Love It!! 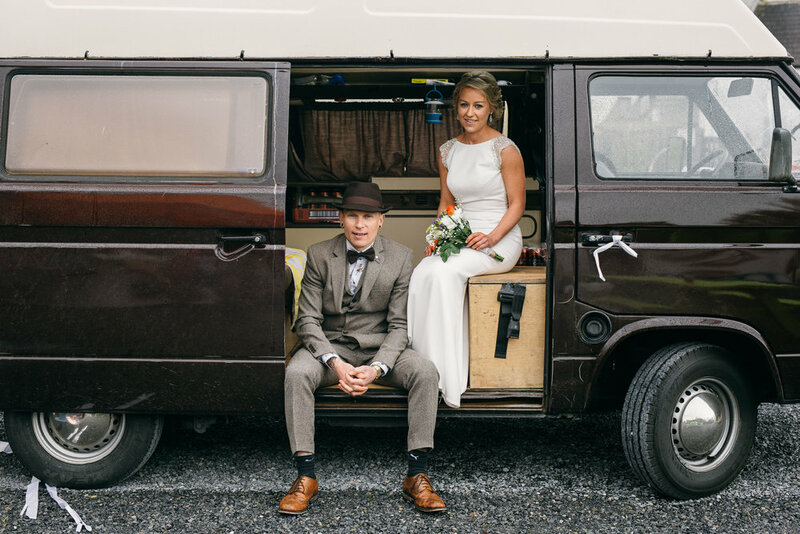 We looked after the planning, organising and styling aspects of the wedding and together with the couple, Eoin and James, we created a wedding experience to be remembered. We had such fun and good times working with couple. To see it all come together on the day made us very proud and happy to be involved in what truly was a very special day!! 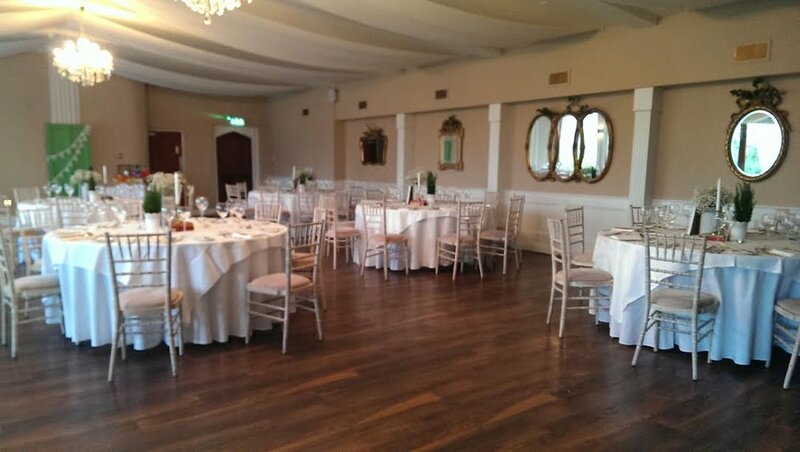 The venue was Brooklodge Hotel in Co. Wicklow. The couple got married in the chapel on the grounds of the venue and then had their reception in Brookhall. The style of the day was relaxed and informal with maximum fun and impact! We used props, flowers and foliage with natural and textured elements to create a winter woodland feel. The flowers were done by The Wedding Festival and consisted of lots of darker colour flowers and berries with informal arrangements in brown and amber bottles. There were plenty of fun, exciting and memorable aspects to this day from the photo memory wall, table seating plan, guest book signing wall and multi-coloured photobooth!! It made sure that all guests, friends and family both those that were there, and those that could not be there were included and remembered on the day, and ensured that everyone had great laughs and fun times throughout. 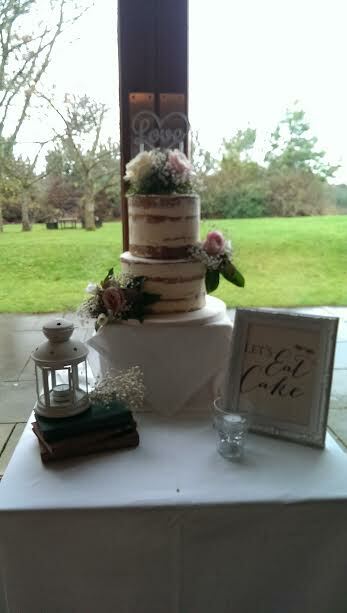 Others involved in the wedding were Photographer - Sean Clarke Photography and Cake by Buttons and Spoon. Full credit to both of these wedding experts for doing an amazing job!! To see the full collection of photos from this wedding check out our Gallery page but for now here is a sneak peek - enjoy!! 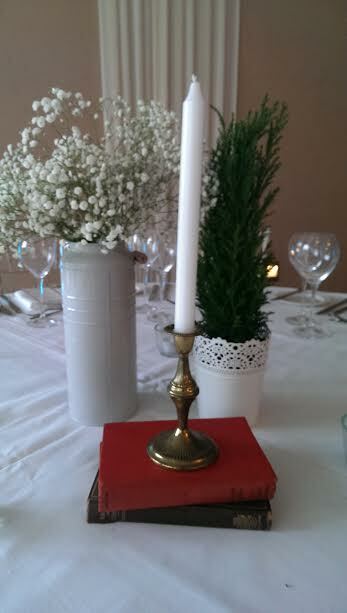 Some Simple Props And Some Simple Styling Touches and... Voila!! If you are like most couples who just want something simple but stylish for your wedding decor then have a look at these inspirational photos for some styling ideas that could make all the difference!! 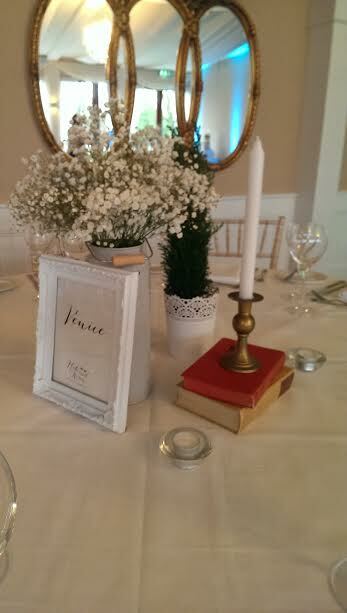 Last weekend we had the privilege of styling a wedding in , Bellinter House in County Meath. A fabulous couple, a stunning venue and some simple Ikea props! What to do? 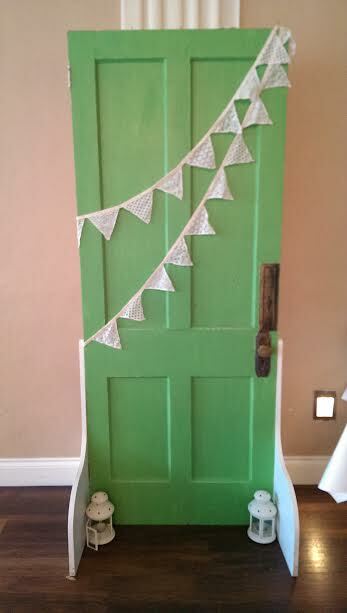 The Bride got in contact with us from Australia a few weeks before the wedding concerned about how she was going to get the look she wanted for the reception room with the props she had. She was also worried about how she was going to set up the room and get everything done the morning of her wedding. The solution was to get help to achieve both these things and not have this extra stress on herself and family members on the days before and the day of the wedding - basically hand it over to the us!! With a very small budget and a few hours of styling, we pulled together a simple but stylish look for the couple by mixing some of our props with the items she had bought in Ikea. We added lots of candle light and a fun and interactive photobooth station and guest signing table - it worked fantastically!! Our message is that it can be done with no stress and with little cost to the couple. Our Favourite 5 Instagram Photos For November - Get Inspired!! There is nothing like a fabulous photo to inspire and excite your creative juices!! We just love Instagram for this very thing, it's jam packed with photos full of brilliant ideas and beautiful moments - ideal for when you are planning a wedding! 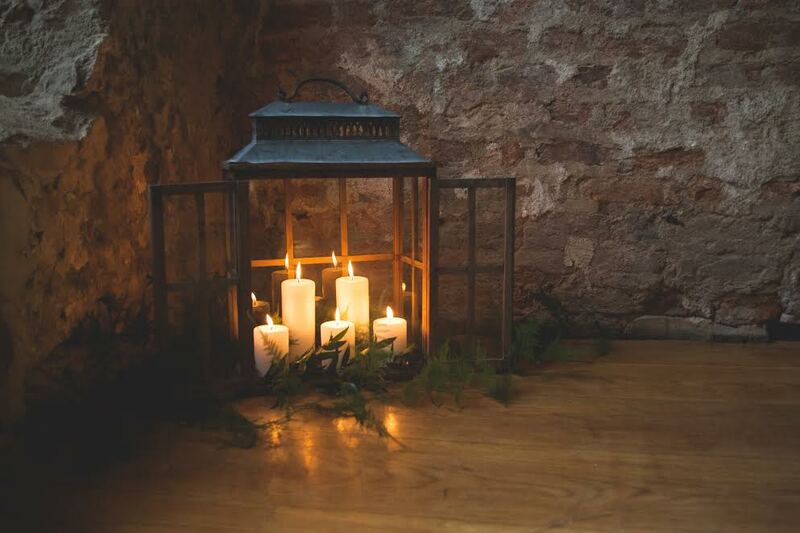 This was taken at a wedding we styled in Powerscourt House in October (yes it's not November but it's too good to leave out!). 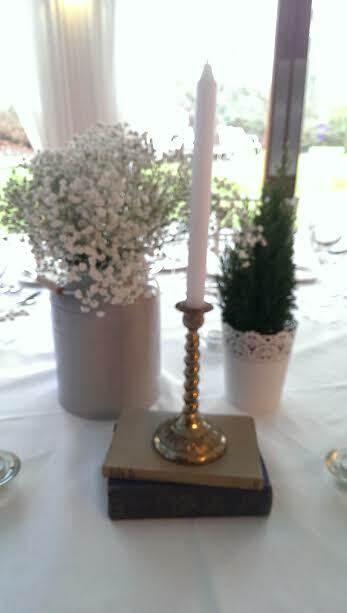 The style theme was a glamorous rustic mix with gold, green and white as the primary colours. This photo is of the cake table where we used lots of foliage, white flowers, gold rings and lots of t lights - beautiful!! Sometimes it just takes a few words to say everything!! 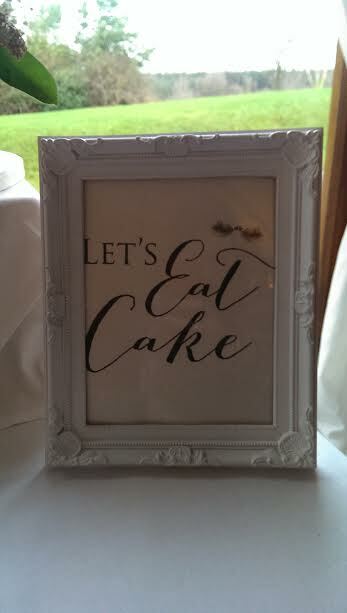 Love this sign, in fact we just love wedding signs! Not the best photo but it's definitely a favourite for what it represents! We worked on a wedding at the beginning of November (yes it has been a very busy few months!!) in Brooklodge Hotel, Co. Wicklow. We worked on planning and styling the wedding with a fabulous, friendly and fun couple. This photo is of the tables which had a table runner of moss and a mixture of golds, browns and copper and an array of autumnal coloured flowers and foliage - stunning!! And last but not least!! Drum roll.....dun dun dun - we have got through to the final of Weddings Online Awards 2017 for Wedding Planner Of The Year. We are delighted and so proud!! Results are out in February...... Nervous!! A Fun + Quick Exercise That Will Help You Save Money On Your Wedding!! But yes back to the bills! Here is a quick and easy tool we give to all our couples before we get in to budgets, wedding details and wedding plans. We ask each of them to fill this out separately and then share their results and look at them together and draw an overall list of priority that they are both happy with!! By ranking their priority from 1-10 they can then decide on the areas most important to you. This will then help you identify areas where you can save money by cutting costs on the things that are least important to you and then having the budget to spend on the things most important to you! So give it a go and see where you can cut costs and see what's most important to you both individually and then to you both as a couple!! Yesterday we featured Emily'+ Ben's wedding from Chic Vintage Brides on our Facebook Page. We loved that it was so different and full of fun, stylish and creative elements. However what stood out for us was that the wedding completely reflected the couple and who they were. It was about them and doing what they wanted on their wedding day - Yes it can be done!! “The best advice I was given was actually from my sister. It’s super lame, but she kept saying “You do you”. It helped me to realise that it was our day and what we wanted was best, not what tradition dictates or family expects. A Unique Barn Wedding Venue - Check It Out!! 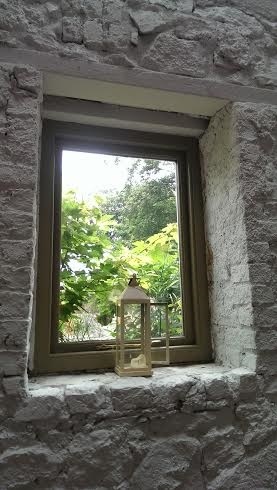 We recently visited the renowned Coolanowle Country House + Farm and can only say - check it out!! 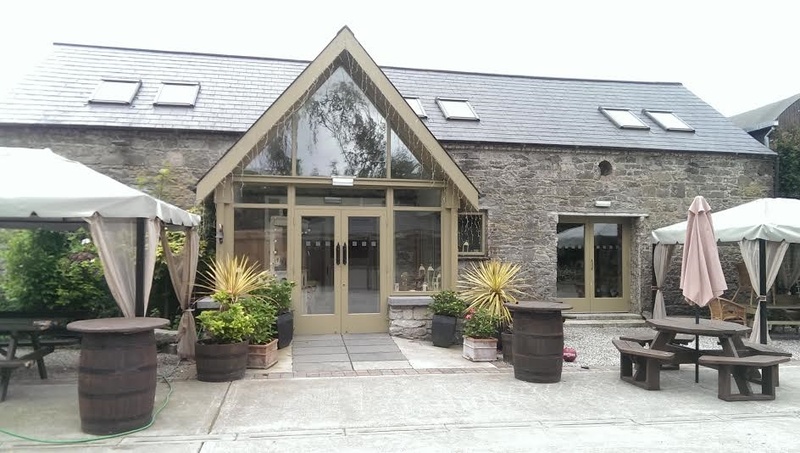 The venue is family owned and is set in beautiful surroundings in the heart of the countryside near Carlow and Laois and only one hour from Dublin. It is the ideal setting for a wedding, private and peaceful with trailing woodlands, a historic flax pond and a working farm all within the venue. 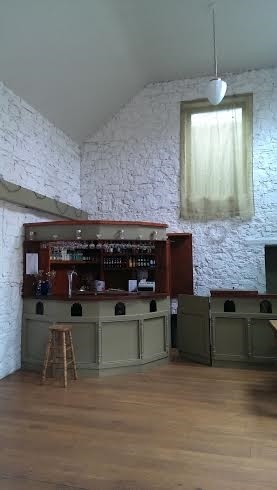 Weddings are held in the newly restored barn with courtyard and gardens outside. The Barn holds a maximum of 60 people but a marquee can be added to the front of the barn for larger numbers. Couples have exclusive use of the venue and accommodation for their wedding. The accommodation is impressive and spacious and comprises of B+B plus self catering options. The venue comes also with a full bar licence and a 4 star catering team offering a unique farm to fork organic food experience. 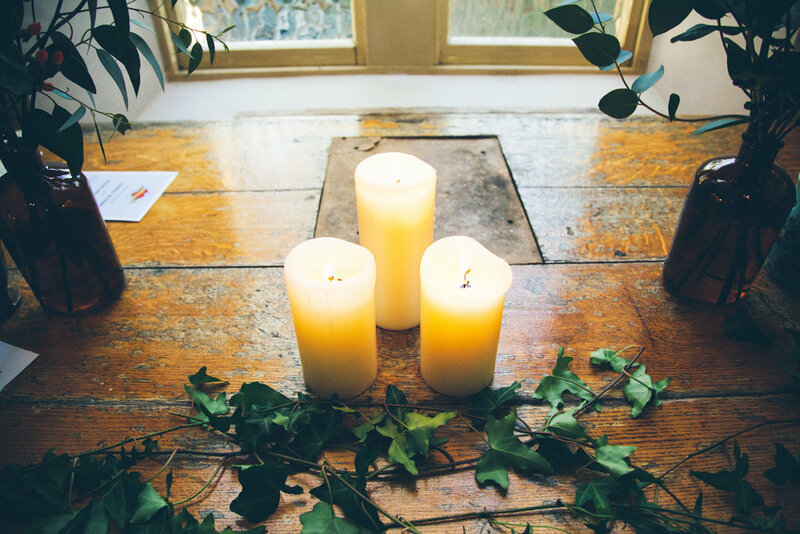 It is also approved for ceremonies and these can held in the barn, gardens or woodlands. This is a stunning venue offering couples that something different!! 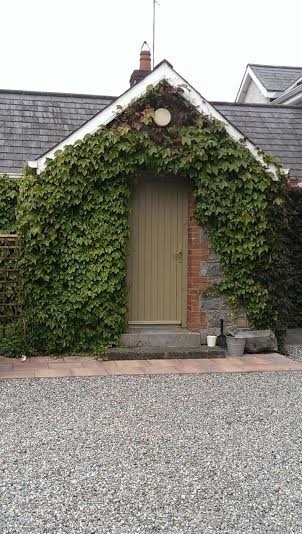 We were very impressed with the excellent facilities, friendly and experienced owners and the magnificent surroundings - it's definitely worth putting on your list to consider!! Getting married now brings you a lot more options and freedom than years gone by and it is all good - thankfully!! One of those changes is the option to get married in alternative venues and ceremony locations. This brings an exciting and interesting element to getting married as you are not limited to a church or registry office. The downside to this is that you don't always get the drama and impact that a church can have. The answer to this is the wedding backdrop!! The wedding backdrop is simply a decorative structure and is usually placed at the top of the venue as a back drop to the ceremony and the couple. These may come with the venue or if not they can be hired or you could make it yourself. Having a wedding backdrop may not be top of your to-do list but it is something you should consider. It will be one of the most photographed locations on your wedding day as most people (including your photographer!) will want to take photos of the newly married couple. Having your own distinguishable wedding backdrop also means that your guests will never look back and not know whose wedding it is! It also sets the scene for the rest of the day and connects with your overall wedding style and decor. It can lift your ceremony venue to something ordinary to something personal and individual. 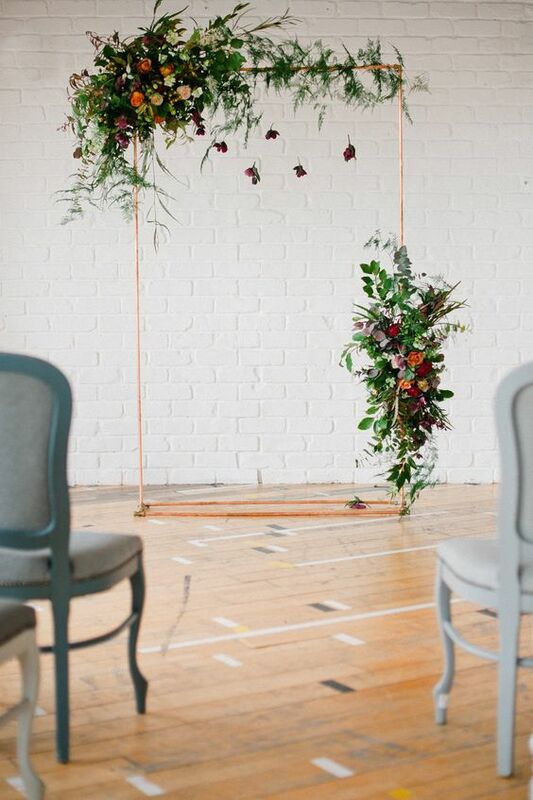 Here we have put together some of our favourite 27 Wedding Backdrops. We hope you enjoy our selection and get some ideas for your own wedding ceremony. Please let us know you thoughts in the comment section - we would love to get the feedback!! Our 9 Top Wedding Dresses That Aren't White! You don't always have to go with tradition when planning your wedding and one way to break with the norm is with an non white wedding dress!! 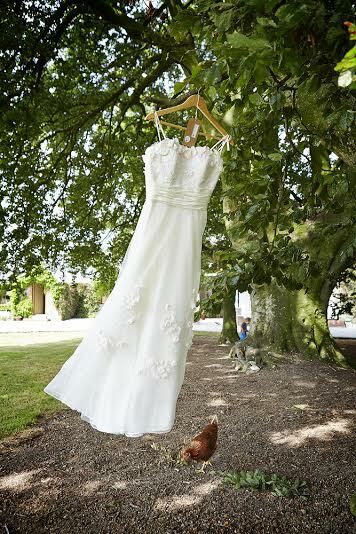 We love the idea of having a wedding dress that is a little bit different, interesting and colourful. Thankfully there are so many alternative wedding dresses available now to choose from all you have to decide is which one is for you!! 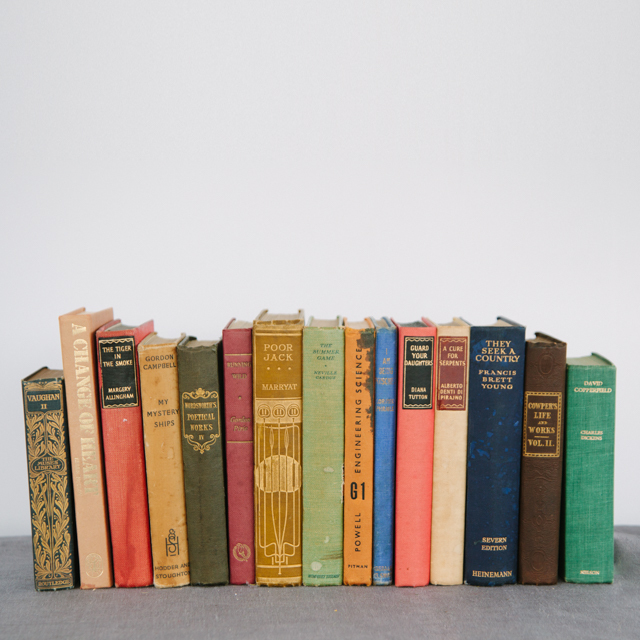 Here are a few of our favourites.... Which one is your favourite?